Roberto Ascione is a serial entrepreneur and global thought leader in digital health. With 20 years of experience, he has been focusing on marketing and communications, business transformation and innovation in health and wellness. 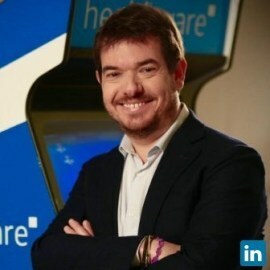 He is currently CEO at Healthware International, a next-generation healthcare communications agency, combining in a unique blend consulting and creative services with innovation and technology capabilities able to deliver value to existing and emerging healthcare stakeholders. He is also very active in the digital health start-up ecosystem in various advisor capacities both in Europe and USA. Passionate for medicine, computer science, and human-technology interactions he believes strongly that digital innovations and technologies will be the most impactful drivers of change in the healthcare industry. He nurtures this vision by speaking at a number of conferences, as well as contributing to several research organizations and start-up accelerators. Born and raised in Italy, Roberto transverses the globe. He enjoys the mash-up of different cultures along the way. Roberto’s education is in medical science and he holds a degree in marketing and communications.